Rotterdam, Netherlands turns towards electric buses in the general trend to stop purchases of diesel buses from 2025 and get rid of diesel by 2030. Rotterdam’s public transport operator Ret recently ordered 55 electric buses from VDL Bus & Coach. The fleet and charging infrastructure is expected to be ready by the end of 2019. For Ret it will be first significant step, followed by another planned for 2021 (50 more EVs), 2024 (50 more EVs) and 2029 (110 more EVs). 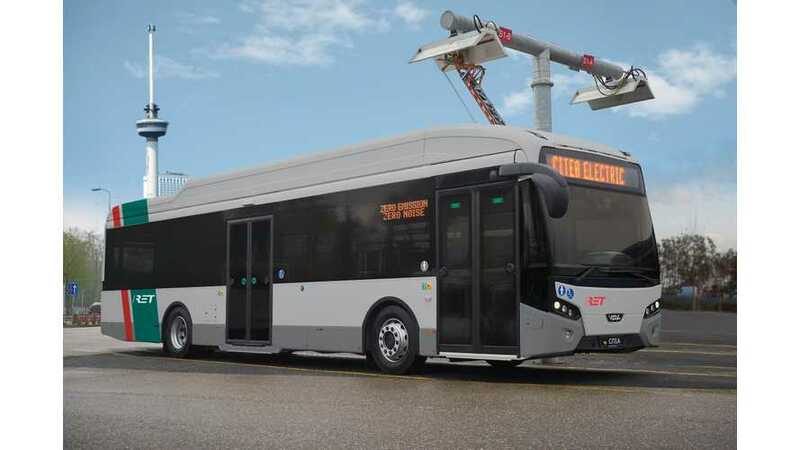 "Vdl Bus & Coach has been award with a 55 electric buses contract by Rotterdam public transport operator Ret. Vdl will also provide the charging infrastructures. Everything should be ready by the end of 2019. The buses will be charged over night at depot and during the service with rapid charging system. Also more that 100 hybrid buses will be ordered by Ret, as the general manager announced." VDL already delivered more than 220 electric buses and received orders for another 200 or so, which shows that there is growing demand for EVs in Europe. Also, other manufacturers like BYD, Volvo and Mercedes-Benz are receiving encouraging feedback from the market.